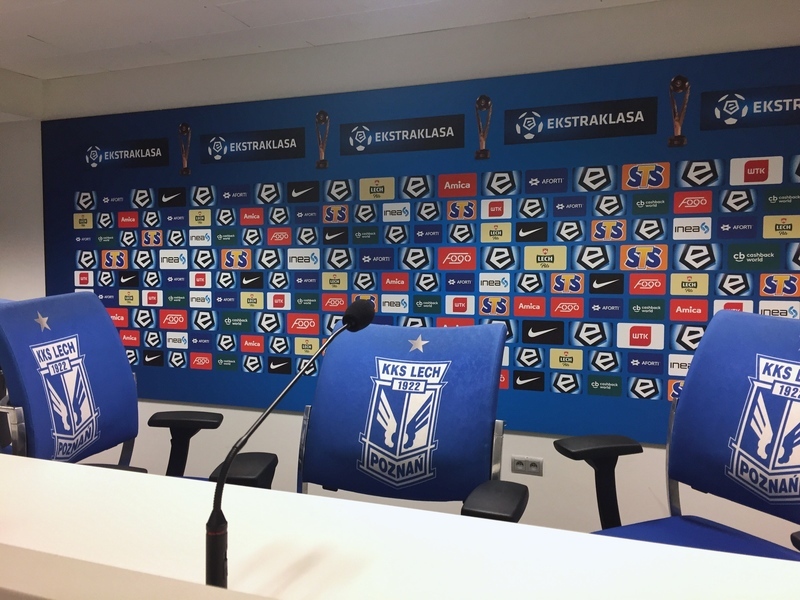 Inea Stadium is the home to the football team, Lech Poznan (founded in 1922) who play in the countries top league, Ekstraklasa. I’d never heard of the team, but of course, my fascination with stadiums was enough of a reason for me to visit. Here is my Inea Stadium tour review. 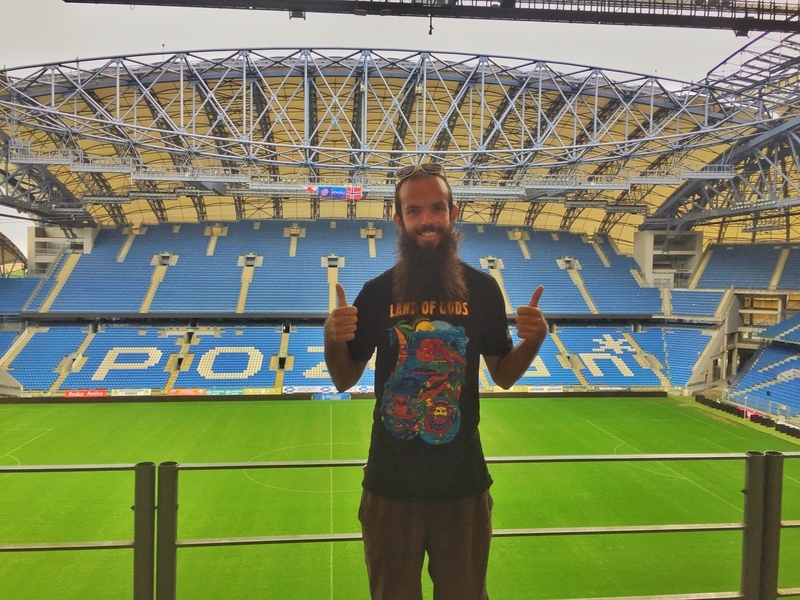 Thumbs up for Lech Poznan! I arrived at Inea Stadium soaking wet, sandals squeaking on each stride. 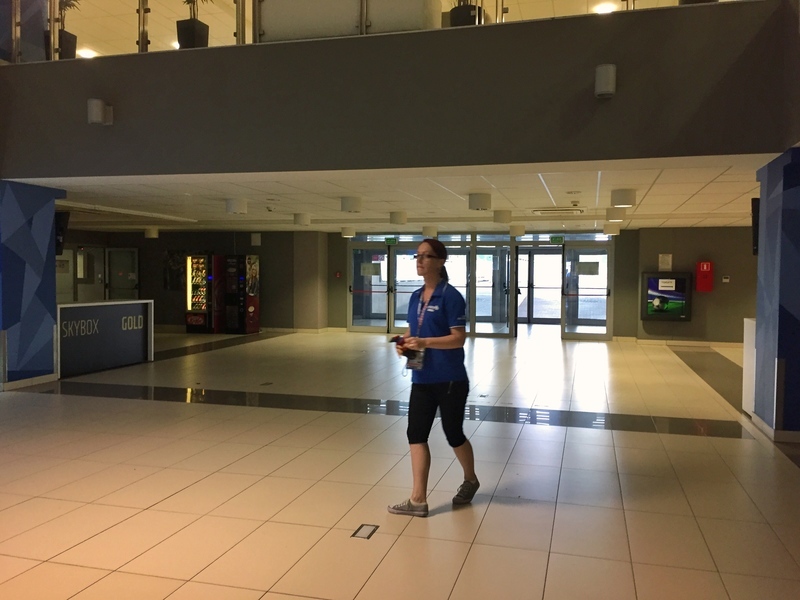 With a bit of hesitation and few people in the vicinity, I asked an official looking lady if she was the Inea stadium guide. She (Martyna) was. On a miserable rainy Sunday afternoon, it was myself and a family of four. Slightly less chaotic than that touring Camp Nou. 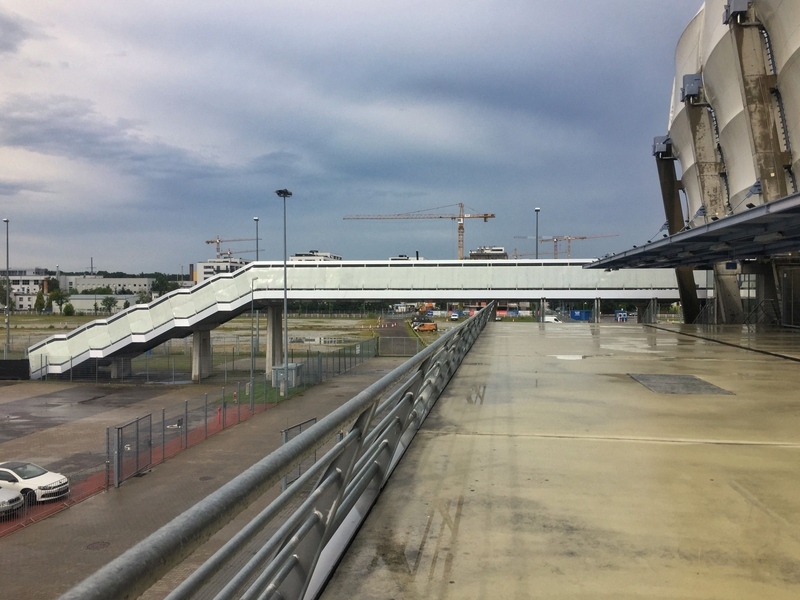 The visiting fans entrance is via the overbridge. Because safety. Before even walking into the system, my mind was blown. We were under an overbridge entrance to the stadium. The overbridge is specifically for visiting fans. Why? Because safety reasons (hooligans). With that epic beginning, we entered the stadium via the reception to pay and get our tickets. It’s not only a reception with the open plan area used for a few others reasons. Before each game the coaches and a couple players will come through the area to speak with journalists. After the game, similar things happen with players and coaches having a chat about the game. The Mission Board is also located in the reception. 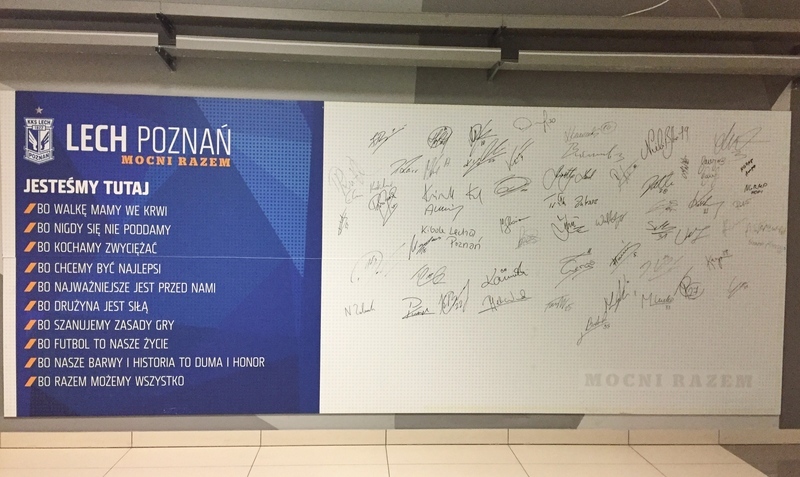 Since 2015, every player who now plays for the club will sign this board before their first game. This was awesome. It’s something so simple, but hey, it keeps the players that little bit more accountable. And with its prominence, in the reception area, it cannot be forgotten. Thanks Aga for translating! (Martyna did at the time, but my memory isn’t great). 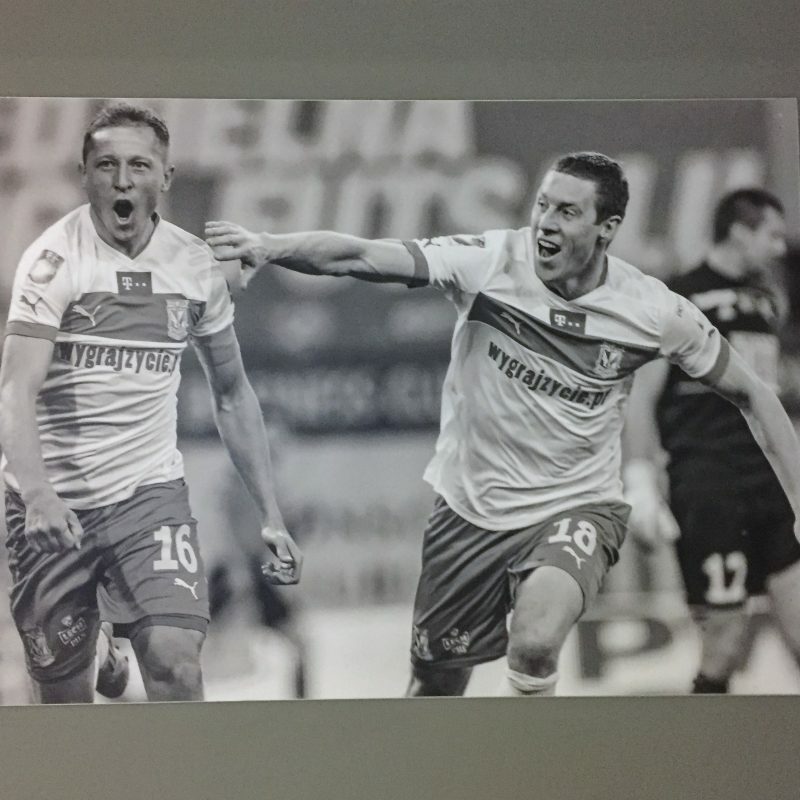 After leaving the reception we passed through the fairly standard press room to check out the Poznan Hall of Fame. It’s nothing fancy, but well put together with photos and text about famous players from the club and pivotal moments in the clubs history. Next up, the changing rooms. 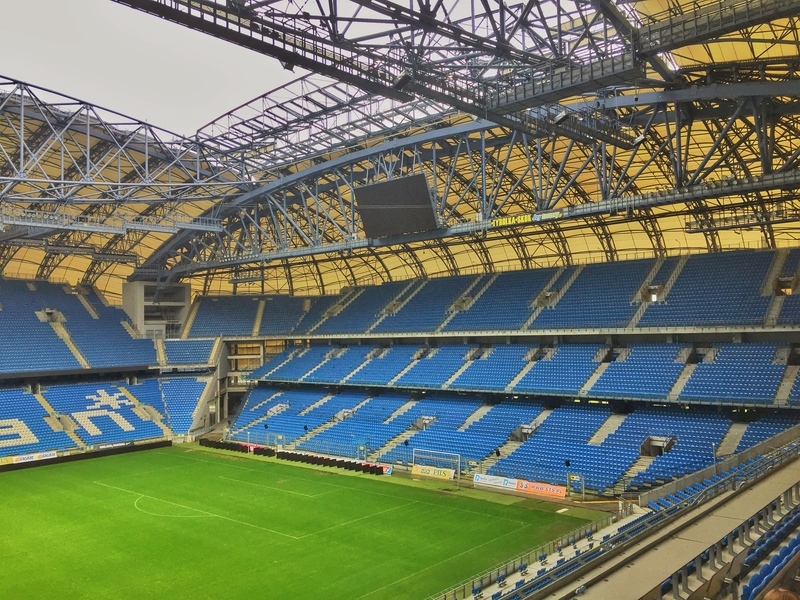 Martyna didn’t take long to mention they were the largest changing rooms in Europe, even bigger than Camp Nou. Crazy! Ultimately, changing rooms are more or less that same in most stadiums. Lockers, massage tables, ice baths/showers and a tv. If you want to see the schdule for the team before a game, I snapped this picture. Up next, standing next to the field surrounded by 43,000 blue and white seats. The screens captured my attention right away, and turns out, they are the biggest in Poland. 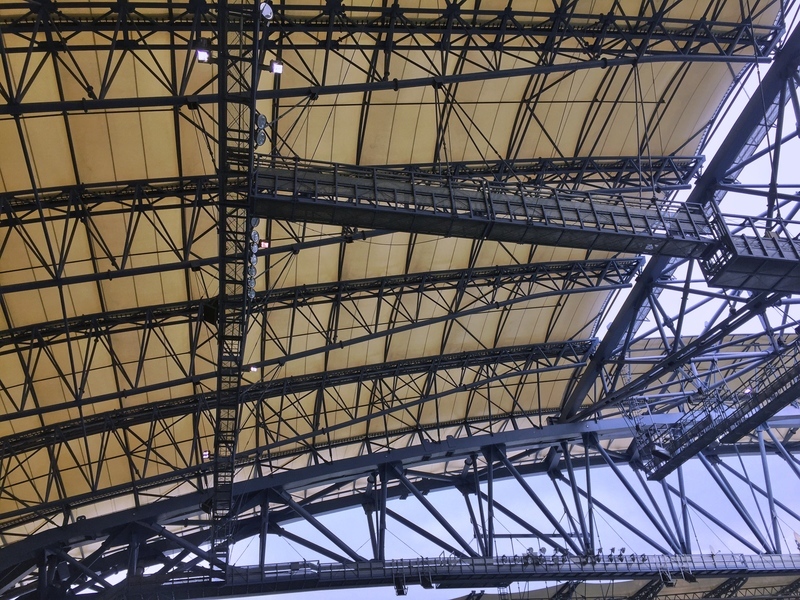 Somewhat surprising because of the multifunctional use for the National Stadium in Warsaw. I made a mention of the large white letters spelling out Poznan. Quick guessing game: Guess how many white seats there are. Answer at the bottom of the post. Martyna started explaining whos sits where in a match. The ultras behind the goal posts to our right, ‘normal fans’ in front of us and to the left are the visiting team’s fans. The visiting fans are squeezed into the corner. Like in most places around the world, fans don’t travel in massive numbers to away games hence the small section. Yet as mentioned earlier, they still get a whole entrance to the stadium just for them. The mascots of the Lech Poznan team are two goats. If you were watching my Snapchat, you would have found me confused by the goat stuff around the city. I finally figured out the reason for the goat related stuff. It all goes back to a city square legend. Long story short: Two goats were due to be cooked up in to celebrate the clock being finished on the town hall. They escaped their imminent death, went up the tower and started butting heads. Much to the amusement of the public. Now at midday each day you can head to the town hall and see two goats butting heads 12 times (not real life goats). They have also won the Polish cup five times, and the Polish Super Cup six times. When Do Lech Poznan Play Next? You can see the full schedule for the top team and their reserves here. 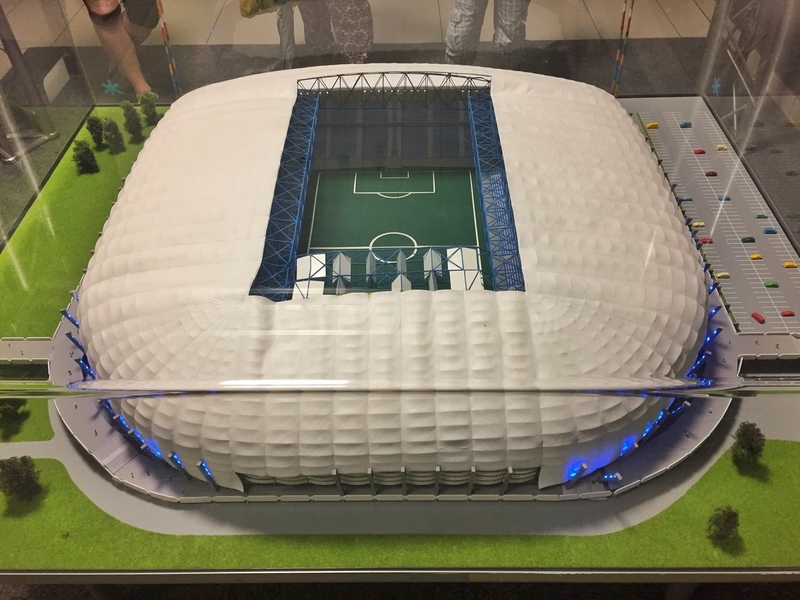 How much is the Inea Stadium Tour? 17 zl for adults (it took us about an hour to complete). This was incredibly easy. I’m all for walking, but the tram takes you straight there from the tram stop Wroclawska. Take the No.13 and jump off at the stop named Inea Stadium and you’ve got a four-minute walk from there. Make sure you buy your ticket before getting on the tram (4.80 zl) and validate your ticket with the machine when you board. Are There Variations Of The Tour? Yeap. 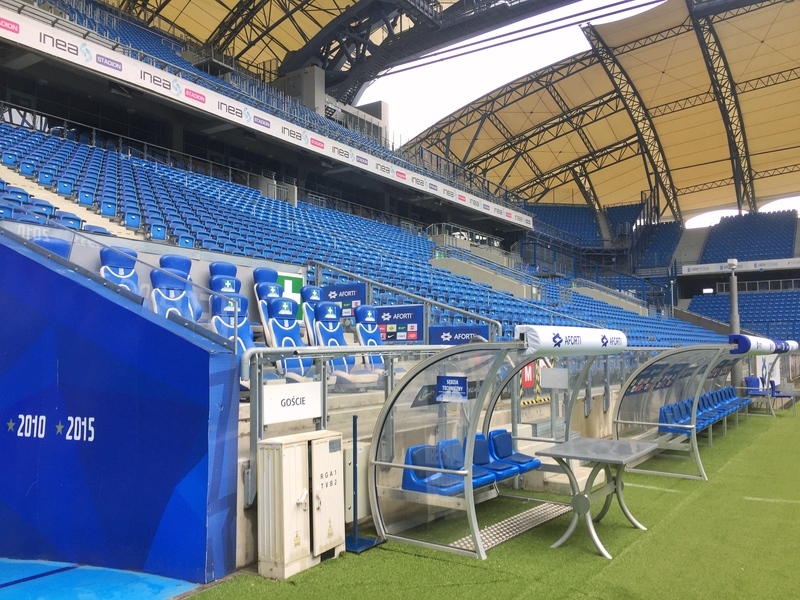 There are a few different Lech Poznan stadium experiences. 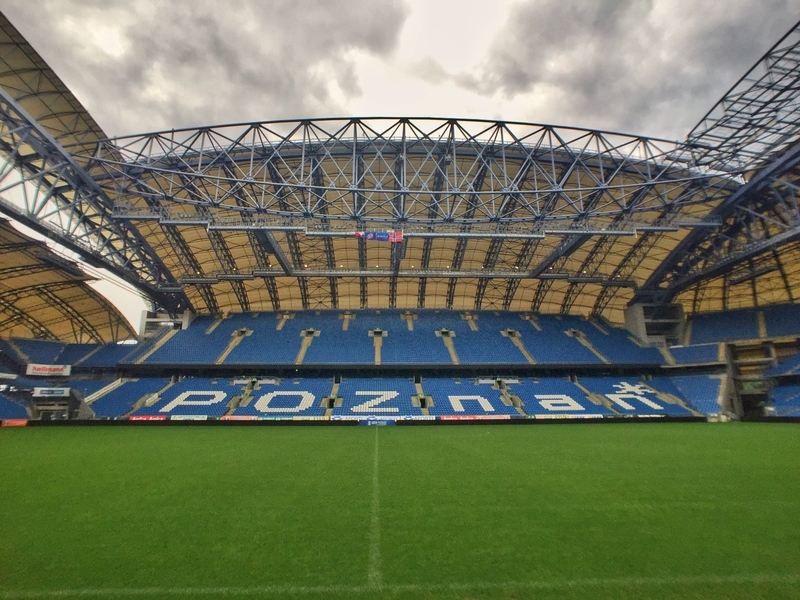 The standard tour like myself, a tour with the Lech Poznan goat mascots, current players or an exclusive tour with a few goodies thrown in. You can even take a tour of the stadium on game day! For all the options, check out the website for more. phone: 61 886 30 31 or 660 423 851 (between 10:00 and 16:00, Monday till Friday). We finished right on one hour. 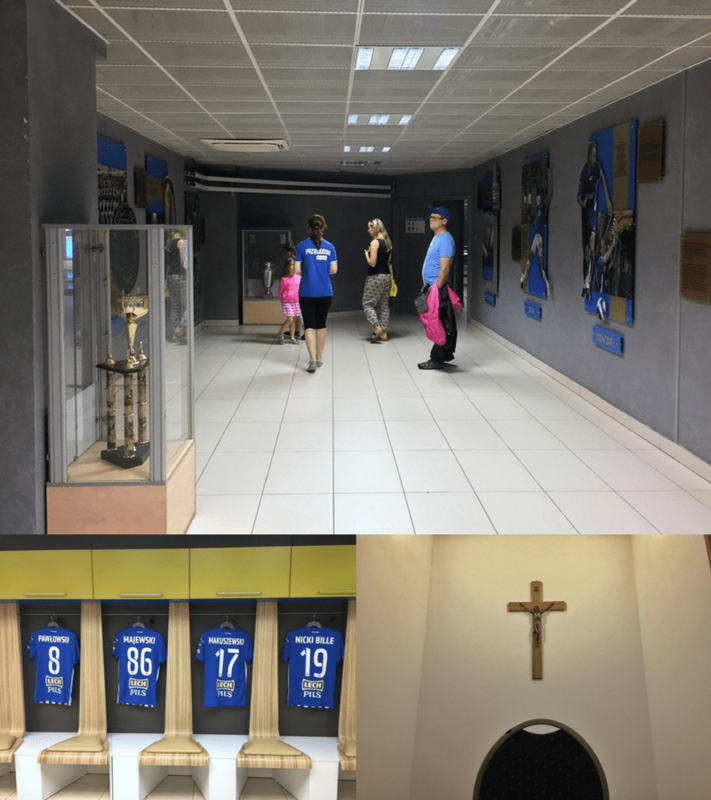 While the tour was in two languages, it would have been great to get to know more about the stadium’s history. Perhaps, a brochure with some facts and figures would be a nice addition. 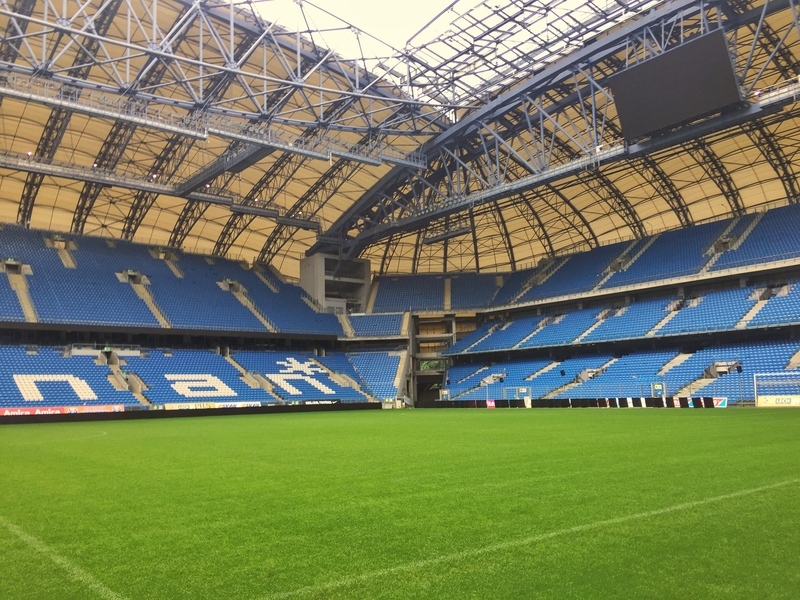 The stadium is referred to Inea Stadium because of sponsorship reasons. Some call it Bułgarska Street Stadium, while formally it’s known as Stadium Miejski, a.k.a. 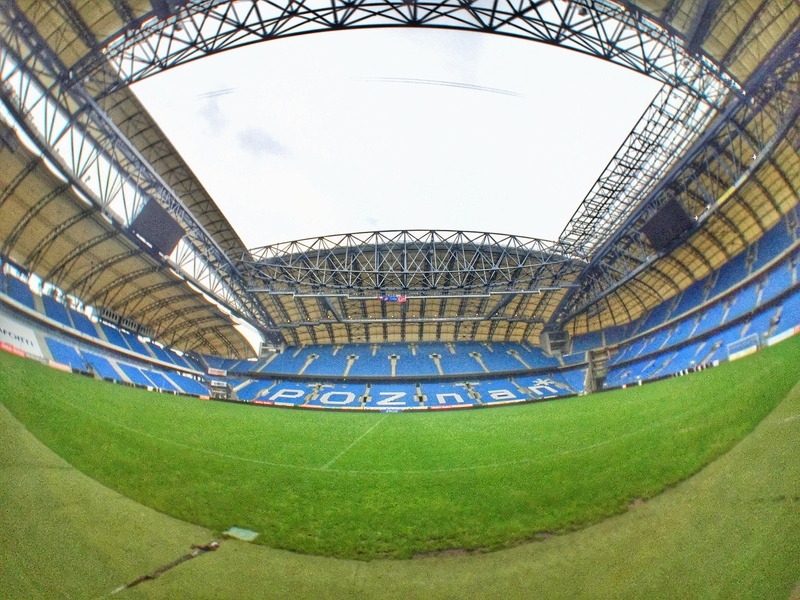 Municipal Stadium in Poznań. How many white seats? 900. Use Pinterest? This is for you.